Posted on November 19, 2010 by Brendan Jones Posted in Uncategorized	. 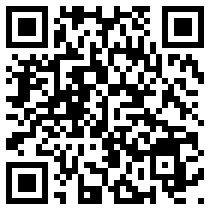 One really simple way of using QR Codes in everyday teaching is to put them on an excursion note. In this case, the code leads to a Wallwisher wall, where I can leave up to minute information about the excursion for the students and their parents. If the weather is dodgy, for instance, I can leave a post-it on the wall saying the excursion is on or off. I can also leave reminders about gear, final instructions for individuals, you name it. With most kids (or their parents) owning QR capable phones, and NSW DET students in Yrs 9 & 10 having Quickmark QR readers on their laptops, it makes this technique very accessible. Tags: excursions, QR, Wallwisher	.